Brave the Thrills & Chills that Await this Halloween Season at Booger Jim's Hollow! 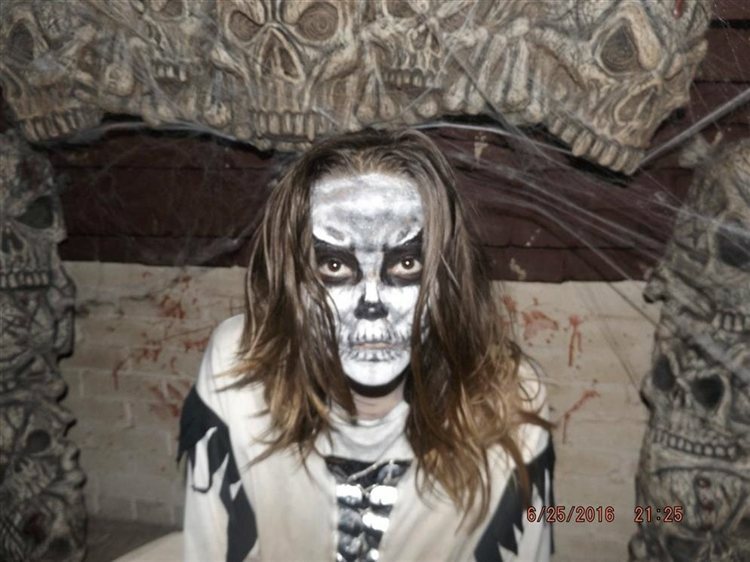 SouthCarolinaHauntedHouses.com recently sat down with Ian Farnsworth of Booger Jim's Hollow, to discuss what's new at the attraction for the 2018 Halloween Season! What's new at Booger Jim's Hollow for 2018? Do you have any new rides, attractions, or special features that Haunt Seekers should know about? Our trail is now unguided! We also offer no touch medallions this year and we now accept credit cards and online payments! The same thing I'm excited about every season, getting to scare the crap out of people! What differentiates Booger Jim's Hollow from other local haunts in South Carolina? Booger Jim was real, the legend is true and our attraction is a lot more "hands on" than any attraction within an hour radius of us. How long has Booger Jim's Hollow been in business? Can you tell us a bit more about Booger Jim's Hollow's history? Since 2006 we used to be called the Trail of Screams, but later changed the name to Booger Jim's Hollow after we caught Booger Jim on camera. What's your favorite experience since opening Booger Jim's Hollow? Making customers pee on themselves! How long is a typical haunt experience at Booger Jim's Hollow from start to finish? Roughly 40 minutes once you step foot in the trail... depends on the customer really. On a scale from 1 to 10, how scary would you say Booger Jim's Hollow is? Why? Does Booger Jim's Hollow's property have any real haunted history? Do you have a spooky encounter you'd like to share? Already have in the History section! My favorite part is getting to act and scare people! When we first started we were just a bunch of kids wanting to have fun. Can Booger Jim's Hollow accommodate large groups? How many people can experience Booger Jim's Hollow together as a group? We only let 6 at a time enter. Does Booger Jim's Hollow offer any special deals, discounts, or coupons? Anything else you'd like to let us know about Booger Jim's Hollow? Make sure to bring your big boy pants for this place!